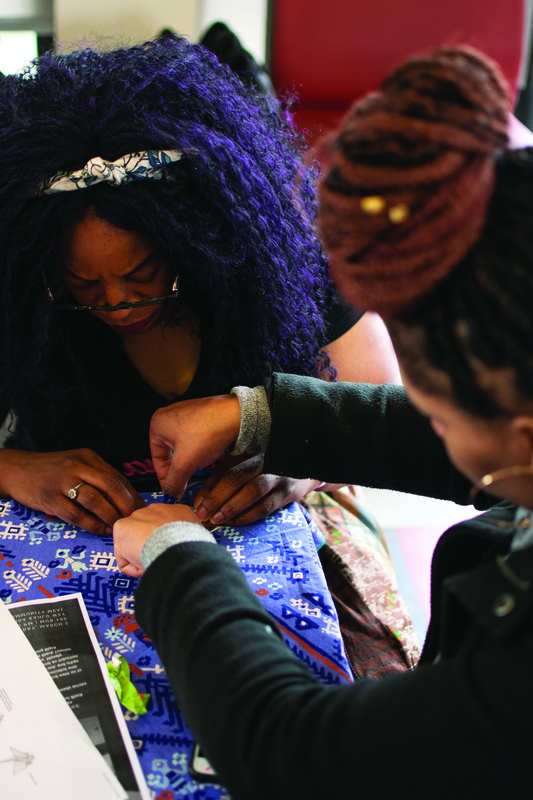 Serving as a bridge between African American History Month and Women’s History Month, the Women’s Resource Center held its annual “Womyn of Color Gathering” on Feb. 27 with this year’s theme reflecting healing through the arts. 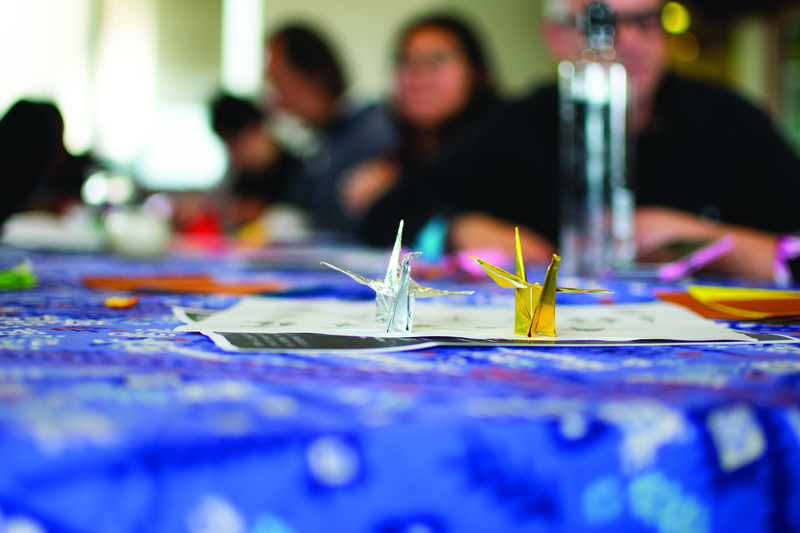 The gender inclusive gathering showcased how the arts can be used to heal from turmoil and trauma, incorporating an origami-making workshop, meditating seminar, and lecture about traditional ways of healing. “Love, belonging and inclusiveness can help us heal from trauma,” speaker and activist Aurora Mamea said. Mamea belongs to the Blackfeet tribe of Montana and has worked in various roles at the Native American Health Center (NAHC) for the past 20 years. 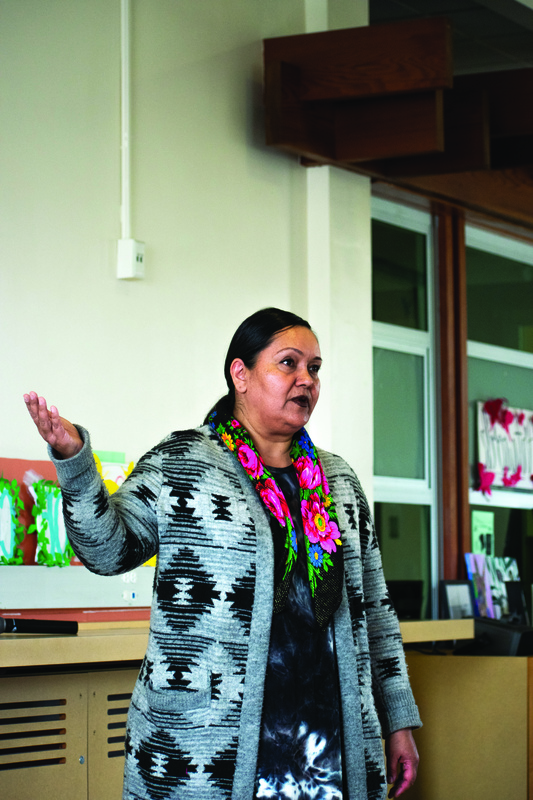 She believes trauma can be healed through protective factors ranging from learning cultural ways and traditions or reclaiming one’s cultural teachings, dances and songs. “We’re so busy running around everyday that we don’t take that time to stop for self-care, nurturing and ‘me’ time,” Mamea said, after performing a traditional song alongside her NAHC coworker. The Womyn of Color Gathering also highlighted works of art created by women of color, which was a personal milestone for students like computer science major Ayesha Chattopadhyay, who moved from Singapore to San Francisco last year. The afternoon welcomed a community from various walks of life, a sight that happily surprised Robin Wilson-Beattie, who is pursuing a sexual health educator certificate. “We live in the same world, we live in the same community together. We’re not islands. It’s important that we recognize and support the experience of others,” Wilson-Beattie said. Art – no matter the form – is an expression of survival and a means to express one’s truth, said Wilson-Beattie. 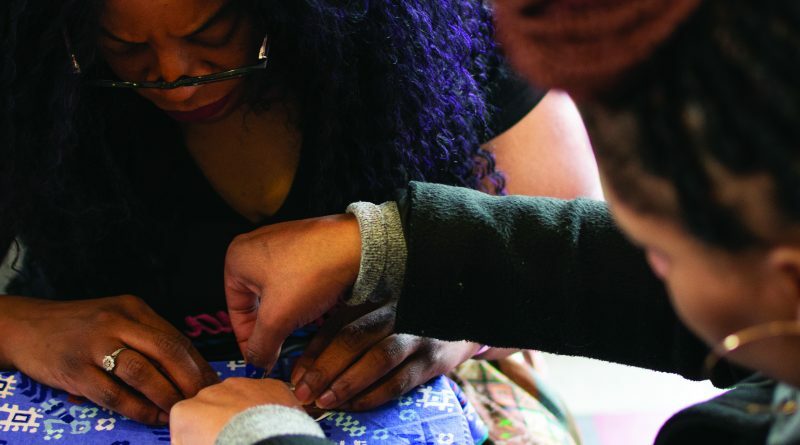 Events such as the Womyn of Color Gathering teaches people to feel comfortable and to feel good about using art as an expression of healing and feeling. “Everybody heals differently, art is one way. Healing is a continuous practice, not just for women but for all marginalized people,” San Francisco State senior Faye Li said. Li took interest in City College’s WRC because of the guidance, counseling and events it provides to students, an experience and opportunity she wishes she had available during her community college years in Southern California. The WRC’s next interactive workshop emphasizes how people can laugh together and generate change. Led by Micia Mosely, a Black-centric socio-political comedian and educator, “Healing & Transformation Through Laughter” will be held on Mar. 5 in MUB 140 from 3 p.m. – 6 p.m.